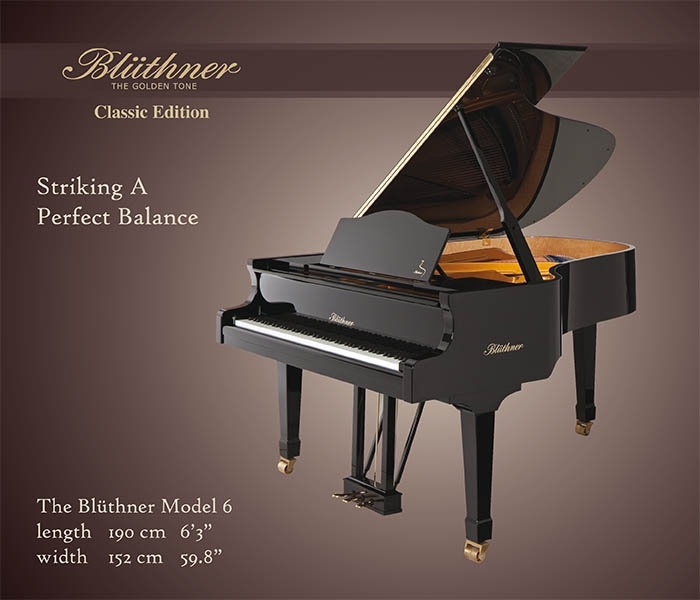 The ideal proportions of the Blüthner Model 6 offer a generous proportion of sound dimensions and dynamics, permitting an optimal resonating quality in a size that is well proportioned. This instrument offers comprehensive possibilities of artistic music performance and meets the demands of professionals. The tonal qualities make this a concert instrument suitable for solo recitals or accompaniment in small venues or even a larger room of a home. The responsive action combined with vibrant tonal character will leave you entirely satisfied.